I am so honored and humbled to have played a small role in this huge project. Excited for my friends and cant wait to see where the next year takes them. A good friend of mine, Tye Barrett, has been leading worship at my old church in Waco Texas (UBC) for a while now and has recently been in the studio putting together some amazing original songs and a few great covers. I had the pleasure of whipping up a shirt design for the band as well as some really fun art for his studio and live album. Tye is a super talented musician with roots in Amarillo Texas, so we wanted to capture a bit of west Texas vibe with the art. I really love the contrast we were able to achieve with the monotone and full colored differences in the two CD packages. 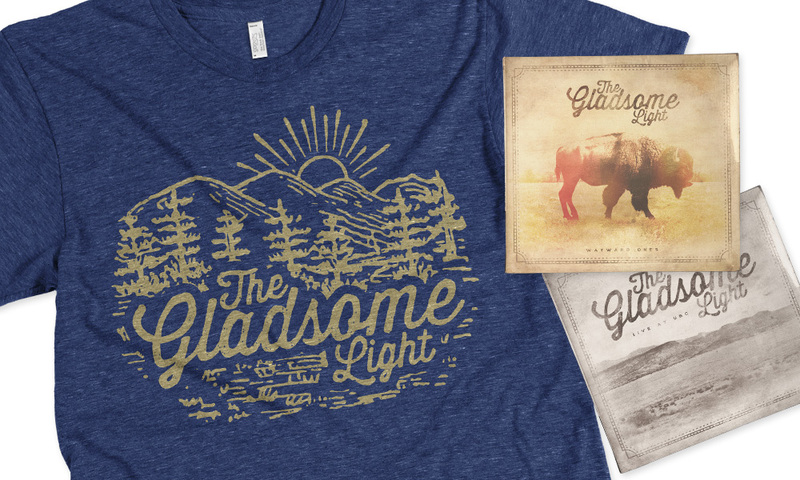 Go check out and support Tye and The Gladsome Light . Your can stream their recently released live record - I recommend "wayward ones".